1. Was this building built to be condos, or is it an apartment conversion? Sometimes when an apartment building is converted you may find that the soundproofing is less than optimal. When a building is built from the ground up to be sold as condos there is typically more attention paid to soundproofing between common walls, common spaces and between floors. There can also be an issue with financing a condo in a converted building. 2. What is the pet policy? Every building has restrictions for the number and size of pets a resident can have. This affects you even if you don't have pets of your own as you may not want to live in a building that allows dogs (especially large breeds). Also if you do have a dog, be sure that the building has adequate green space nearby. There are buildings in Omaha that allow dogs but are essentially 'land-locked' and you'll have to walk a few blocks for Fido to be able to take care of business! 3. What's happening in the immediate area? Is a new building scheduled to go up between my balcony and downtown? And while there's no guarantee that the empty lot next door won't become a 30-story tower, you can at least find out if anything is currently scheduled for it. Be sure you're working with an agent who knows the landscape and can tell you what's currently in development. 4. What's the renter situation? This is important for a couple reasons: If the number of non-owner occupied units is too high it can affect your financing. It's also a general assumption that renters aren't going to be as concerned about the well-being of the building as owners are. We know which buildings have a notorious number of renters. 5. Are there any pending assessments? One fact of condo life is that everyone must pitch in to take care of the building. This is done typically through special assessments that the HOA approves for general repairs and upgrades. Are there any pending for the building you're considering? We will find this out early in the buying process so we can factor it in to the offer. 6. How much are the HOA dues and what do they cover? Every condo is going to have a monthly HOA payment involved. This covers the staff salaries and general upkeep of the building. It may also include insurance, electricity, valet, trash, water, etc. Be sure you know what the HOA dues will cover so you can make an apples-to-apples comparison between buildings. We know what the dues are for every building and can help you make an informed decision. These are just a few of the issues you face when purchasing a condo, loft or townhome. That's why it's important to work with an agent with the knowledge to guide you through the process. 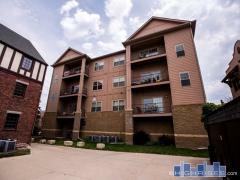 Contact us today for more info about buying an Omaha condo or loft!